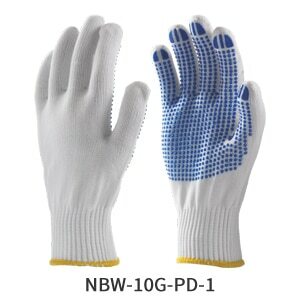 Feature Benefit Nylon gloves more flexible, sensitive, comfortable & more Mechanical Protection. Nylon Knit Construction makes more snug fit allowing workers to do more delicate of operations. The dots on Nylon offers positive & enhanced grip. The Nylon is Lint free.